Maker bows to increasingly competitive market. Toyota will cut $1,150 off the starting price of the new 2012 Camry LE Hybrid. 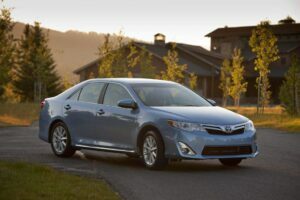 Today will cut the price on its updated 2012 Camry sedan by as much as $2,000, depending on the specific model – a move that reflects the increasingly competitive nature of the U.S. midsize car market, the maker acknowledged during the official launch of the new model. That doesn’t reflect the recent run-up in Toyota’s rebates and other incentives. The maker has increased givebacks, in recent months, as it has struggled to reverse declining sales. Few cars are as important as Camry to Toyota, the sedan topping the passenger car sales charts for the last nine years, and 13 of the last 14 years, but in recent months, demand for the Camry has been slumping, and Toyota doesn’t want to risk momentum as it begins one of its most important new product launches in years. “We expect Camry will continue to earn its position as America’s number-one selling passenger car,” said Toyota brand boss Bob Carter, speaking from Los Angeles at an event simulcast to media gathered in a number of cities around the country. The base 2012 Toyota Camry LE will carry a sticker price of $22,500, a $200 cut for the new model. The sporty new SE will come in at $23,000, a $1,000 cut. The most lavish version of the sedan will start at $24,725, a $2,000 discount, while the entry price for the 2012 Camry Hybrid will drop $1,150, to $25,900. Those figures, stressed Toyota officials, do not include the $765 destination charge – nor added equipment built into the 2012 remake of the Camry. The price cuts took some industry observers by surprise, but they reflect the fact that, “There’s been a significant increase in competition” in the midsize market, according to John McElroy, a long-time industry analyst and producer of the AutoLine television show. 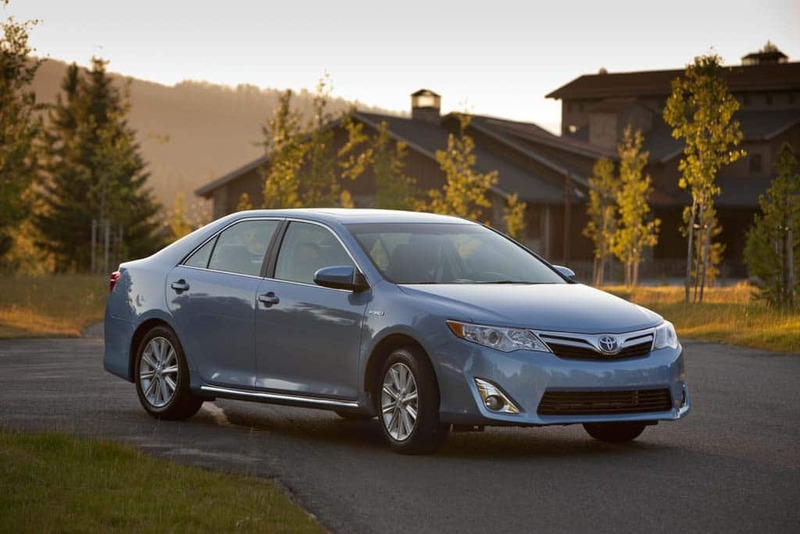 For the first seven months of 2011, Camry posted a 7.8% year-over-year decline, sales dipping to 174,485. Toyota has blamed the March 11 earthquake and tsunami that devastated the Japanese auto industry, creating product shortages around the world. But, significantly, the maker’s Asian rival, Nissan, scored a 17.5% increase in sales of its aging Altima sedan during the same period, despite the shortages it also faced. Meanwhile, U.S. and Korean brands have been closing the gap, Ford’s Fusion gaining 17.4% through the end of July, to 151,004, putting it third in the midsize segment, while the Chevrolet Malibu gained 10.5%, to 142,312, positioning it fifth behind the Honda Accord, which itself saw sales decline 15.7%. The sixth best-seller, the latest-generation Hyundai Sonata, was up 21% — company officials complaining they were limited by short supplies – to 135,898. Toyota officials noted that production of the new Camry at the primary midsize plant in Georgetown, Kentucky has reached normal levels so, in the months to come, it will become a test of the Toyota brand’s staying power, the impact of the price cuts and the appeal of a new model that is generating mixed to positive reviews. Toyota not only will put “cash on the hood,” in industry parlance, but according to Carter will begin one of the largest ad campaigns in its history to help build buzz for the new Camry before its formal on-sale date of October 3. This entry was posted on Wednesday, August 24th, 2011 at and is filed under Automobiles. You can follow any responses to this entry through the RSS 2.0 feed. Both comments and pings are currently closed.